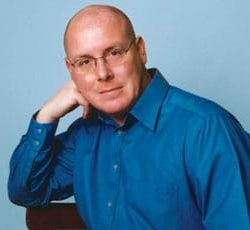 In spite of more relentless and larger scale incidents of rogue trading since the collapse of Barings in 1995, Nick Leeson remains the most infamous rogue trader and one of the world’s most sought-after speakers within the financial sector. The collapse of Barings, and Nick Leeson’s role in it, is one of the most spectacular calamities in modern financial history. The collapse of Barings in 1995, and Nick Leeson’s role in it, is one of the most spectacular debacles in modern financial history. The young gambler who found himself sucked into a terrifying spiral of loss, was a working-class boy who lived in an upper-class world, until his unchecked gambling caused the downfall of Barings Bank (personal bank to HM the Queen) and chaos in the Singaporean money market. Markets have always been cruel, but rarely have they been so cruel so rapidly – and on such a large scale. Curiosity, intrigue and sympathy have been the various reactions to this man’s remarkable life story. Following Barings’ collapse, Nick Leeson was sentenced to six and half years in a Singaporean jail, in conditions that defy belief. At the same time, his wife left him, and he was diagnosed with colon cancer. Against all odds, he survived, and now fully recovered from cancer lives happily in Ireland with second wife Leona and three children. Nick Leeson is now one of the UK’s most sought-after speakers. He talks frankly about what happened with Barings, the lack of accounting safeguards, his capture and confinement for 9 months in a Frankfurt prison and being sentenced to 6 years by the Singapore court for forgery and cheating. Nick regularly speaks at conferences and corporate dinners, and has travelled extensively to New Zealand and South Africa in the course of action. The evening usually contains a speech lasting up to half an hour, and then a Q&A-session that can be tailored to the client’s requirements. He also addresses university campuses, and has spoken at Trinity College Dublin, the Oxford Union and the University College Cork. In the aftermath of the AIB trading scandal in New York, and the collapse of Enron and Worldcom, Nick provides a fascinating acumen into the continuing failures of senior and middle management at large corporations, who still fail to protect shareholders and customers. He also talks about being diagnosed with cancer, and his fight against it. This type of evening represents a unique opportunity for people to meet and question the main participant in arguably the largest banking scandal that the world has witnessed. The story also has a number of human interest aspects that will astonish any audience, thus not being restricted to the world of suits and power lunches that he used to attend. More recent cases such as Allied Irish Bank, the National Australia Bank scandal, Societe Generale and UBS in 2011 simply highlight that loopholes haven’t been closed. Nick Leeson is expertly placed to provide consultancy on risk management, compliance and corporate responsibility.